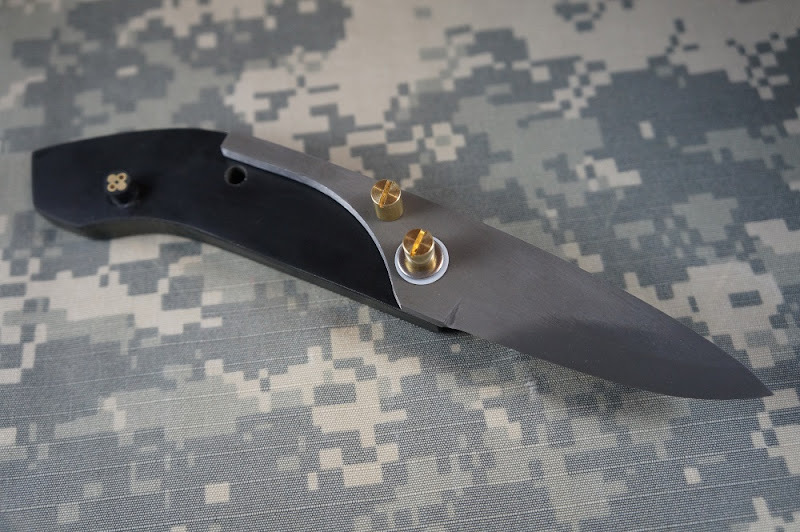 Just finished this convertible friction folder; its idea evolved working on it and in the end I managed to put together a small (UK legal) yet capable folder that can convert into a full function fixed blade by just switching a Corby rivet from one hole to another. 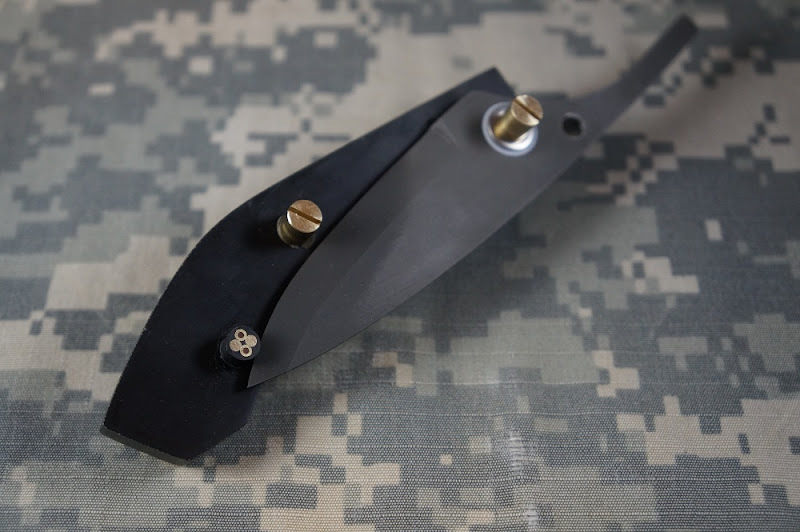 The cutting edge is 6.5 cm long and the full blade is 7.5 cm long; it is made out of 3 mm O1 high carbon tool steel and acid etched to increase rust resistance and contribute to its final look. 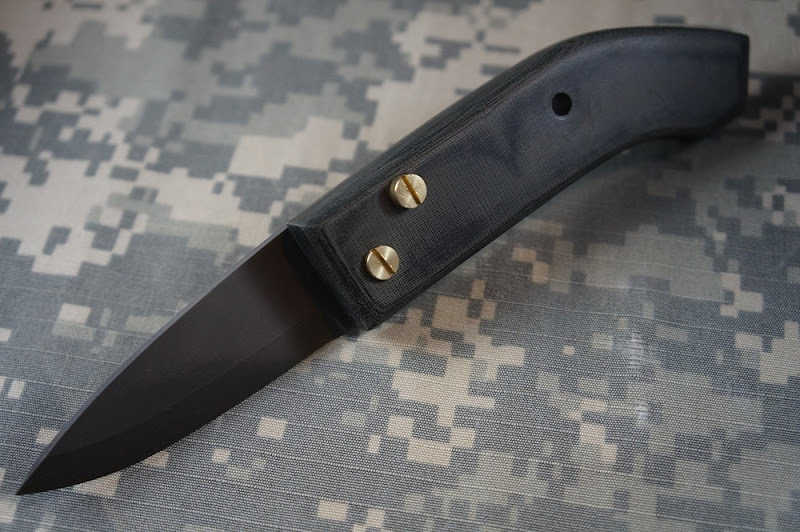 The "one side" handle is made out of black canvas micarta and it is 10.5 cm long. 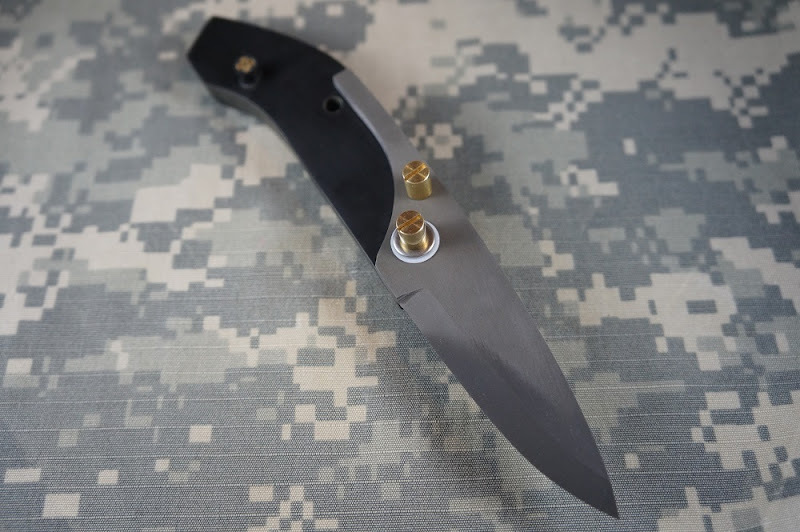 The fittings are two brass Corby rivets, ptfe washers and a carbon fiber mosaic stopper pin (it protects the cutting edge and offers a nice touch). 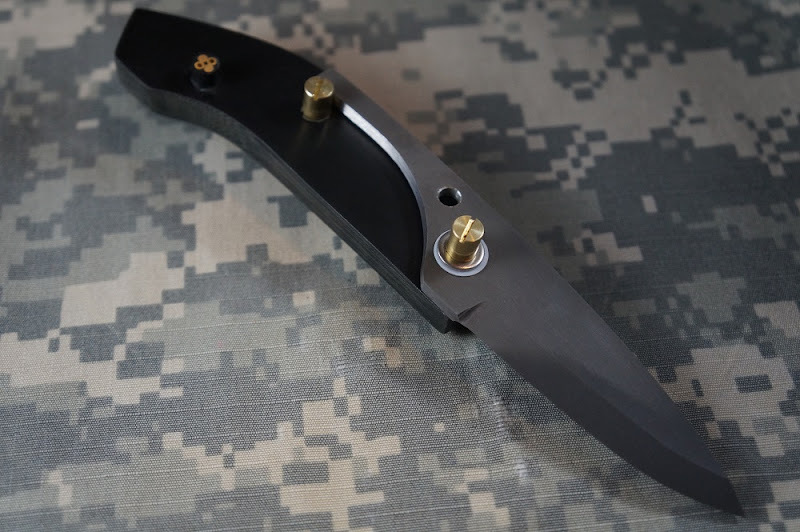 The pins can be changed for the look using stainless steel or even copper standard 6.3 mm Corby rivets. The conversion can be made with bare hands the heads of the rivets being high enough for a good grip. These days, Opinel is best known for its cheap knives with a ring lock mechanism, but that?s a relatively new addition to these classic knives. 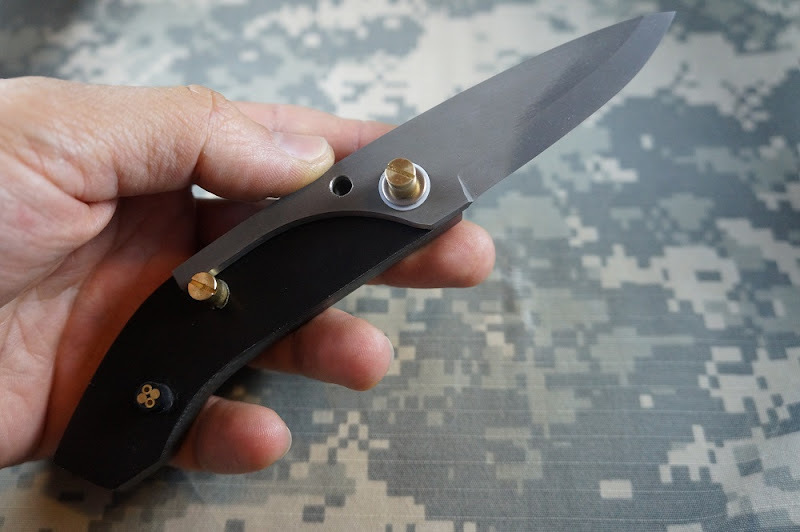 The smaller Opinels, including the No 4, don?t have that ring lock and use the friction.